We believe that every child has the right to an education. Sadly, in many homes in Zambia there is simply no money spare for fees, uniforms or equipment so many children are forced to drop out of school. This is particularly true for orphans and vulnerable children, which is why supporting them to complete their schooling is at the heart of our work. You can help us give children a brighter future and join the fight against child poverty by becoming a child sponsor. 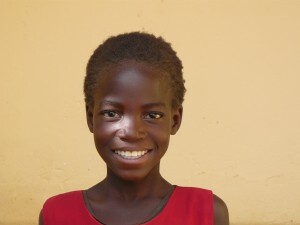 What difference can child sponsorship make? Will I hear from the child I sponsor? After you have signed up to sponsor a child you will receive a profile and photo of the child you are sponsoring. You’ll also be given annual updates on the child’s progress, so you can see for yourself how your support is helping them to grow and develop. You are also welcome to send letters or cards to the child you sponsor. Tokens like these mean a lot and your words of support can help inspire a child to fulfill their potential. How can I find out more about child sponsorship? You can find out more about sponsoring a child by visiting our Contact Us page. Your support is vital to helping children in Zambia access education and strive for brighter futures. And remember, it really does change lives.